So we did an unusual movie night for this week. We all love Splash Mountain (who doesn’t?) 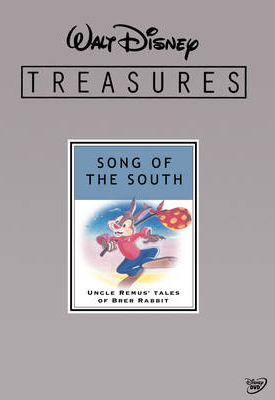 but we had never seen the movie Song of the South that inspired it. 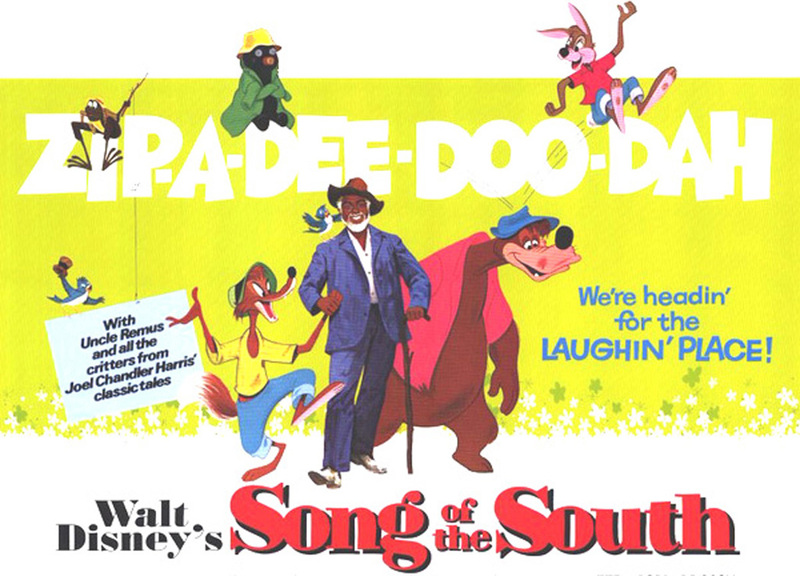 The kids and I watched it, and I was shocked at the holes in my daughter’s knowledge about slavery (I know the movie was supposed to take place during reconstruction). Because of this, instead of doing a regular craft, we went online and researched the underground railway to Canada. I found this great site on scholastic and we spent several hours online, researching and discussing slavery, civil rights, the underground railway, and the civil war. It was a great learning experience for my daughter, and it was very memorable and meaningful for both of us. In the end she spent a couple more hours writing a journal entry about what she imagined it would be like being a slave escaping on the underground railway. I think the conversations we had about the movie were so important. I do think though that it’s a movie that requires lots of time and discussion with children, so I certainly understand Disney’s reluctance to release it. And because I LOVED the song “Sooner or Later” from the movie, I made pie. I don’t know which pie Aunt Tempy made (it looked dark like plums maybe?) 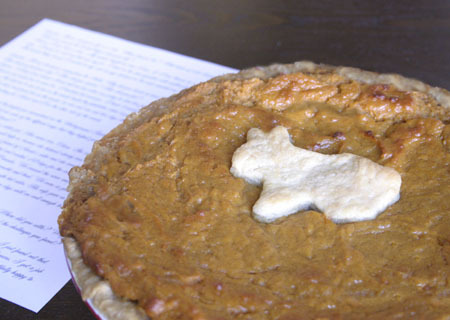 so I did sweet potato pie with a Br’er Rabbit in crust on top. Here is a link to the recipe we used at allrecipes.com and it’s posted below. I hope that is a good choice for southern cuisine. By the way, so interesting, did you know that Hattie McDaniel was the first black woman to sing on radio in the States? Gorgeous song! And my husband said he actually preferred the sweet potato pie to my pumpkin pie! 1. Boil (or microwave) sweet potatoes in their jackets until cooked (a thin knife should be able to go through easily). 3. Put butter and sugar in a large bowl. 4. Peel hot potatoes – with knife, cut top and peel down, removing any stringiness from the potato with the skin, cut bottoms. Place hot, peeled potatoes on the butter in the bowl with sugar, crush together. Add beaten eggs. Stir in spices (to taste). Pour into 2 unbaked pie crusts. Should be the consistency of pumpkin pie mix. 5. Bake at 350˚F (175˚C), for 45-55 minutes, until brown.